This qualitative study explores the phenomenon of spiritual awakening in the lives of ten women in Ireland with chronic illnesses which have been subjected to invalidation by the medical profession. An autoethnographic exploration of the researcher’s personal experience, through writing and analysing a personal narrative, was central to a methodological approach which employed a blend of autoethnography, narrative inquiry, hermeneutics, intuitive inquiry, and phenomenology. This study aims to fill a lacuna in the literature by employing the theoretical frameworks of psychosynthesis theory and the conceptual maps of contemplative psychology to explore how losses incurred in chronic invisible illness experiences may lead to a deeper level of consciousness exhibiting transpersonal characteristics such as peace, creativity, alertness to non-ordinary perception, ecological awareness, and altruism. The chief discovery arising from this study was that it is a particular form of injustice (testimonial), with its traumatic wounding, that was the key to spiritual awakening. The unique seven-stage model presented here contributes a heuristic model of chronic invisible illness experience as a path to the Self for women. Its implicit optimistic paradigm has implications for a re-framing of chronic illness experiences not merely as negative phenomena, but as potential gateways to spiritual awakening. Bernadette has a PhD in Medical Humanities from All Hallows College / Dublin City University. Her chief research interest lies is the notion of chronic illness as a potential bearer of opportunity for spiritual growth, ecological awareness, and transformation. She obtained an MA in Psychosynthesis psychology following an intensive four-year training at the Institute of Psychosynthesis (London). 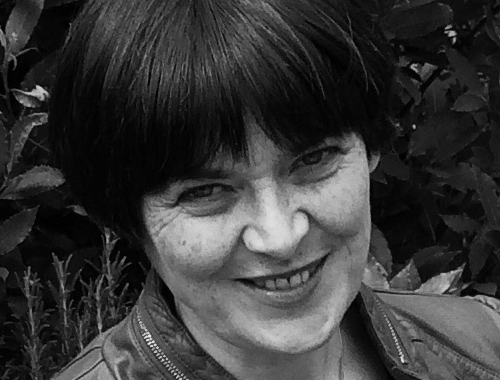 Bernadette works in Dublin as an academic research supervisor and documentary film-maker.